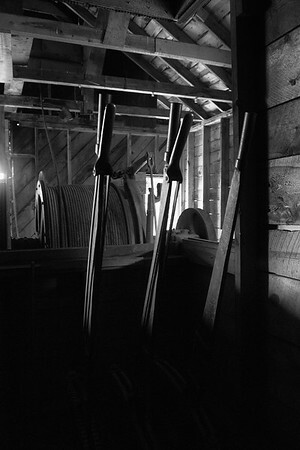 Black & White photography often takes us back to another time. Join us on this journey as we go back in time. Purchase your piece of history today. 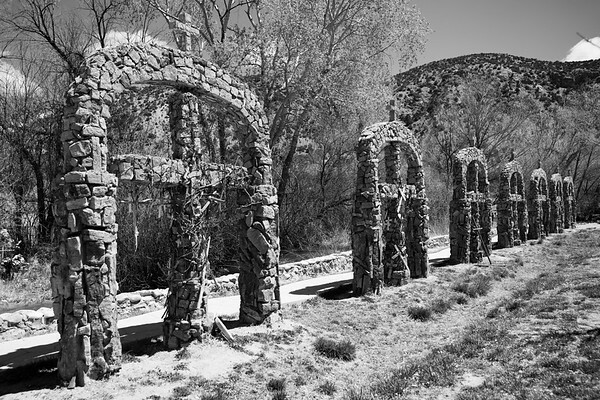 These rock structures are located at El Santuario de Chimayo, near Chimayo, NM. 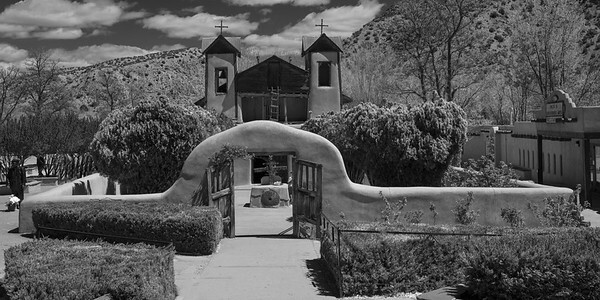 The rock crosses are adorned with rosaries left in fond memory of loved ones by families who visited this site. 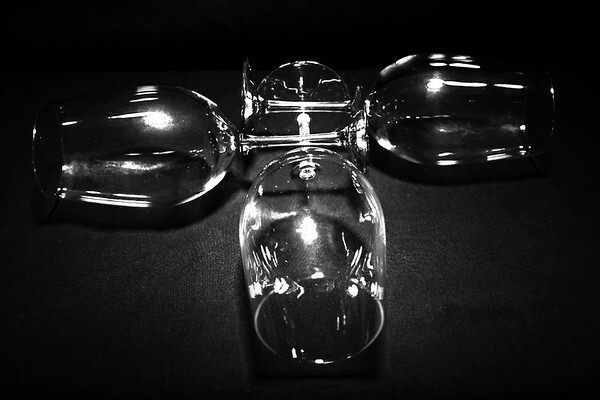 While shooting some product photography we unveiled this gorgeous black and white beauty. We both LOVE our lights and the visions they create - sometimes expected but often they surprise even us. An early day at sea in December. Everyone is suiting up with tanks, regulators and warm warm wetsuits for the upcoming 1 hour dive "down under." 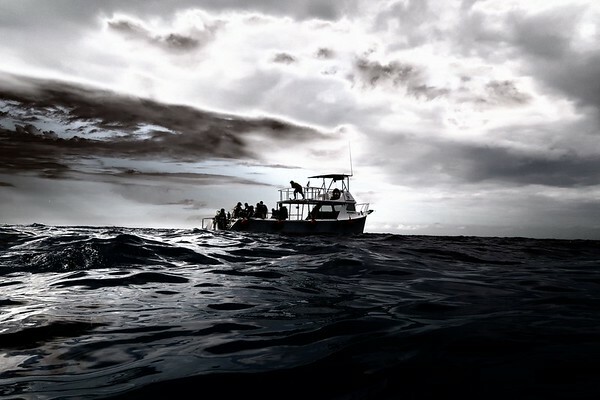 Bad weather rarely stops determined scuba divers! To include Doug and I. 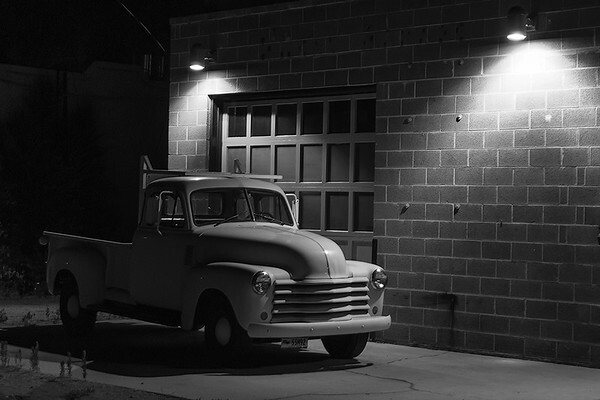 This old truck next to a building was a night shot adventure. 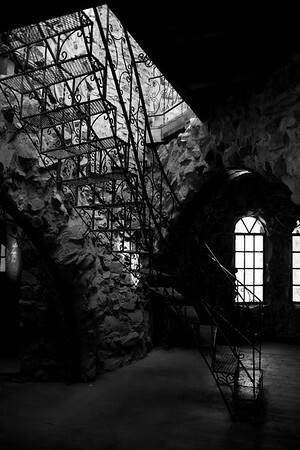 Showing it in B&W helps bring back memories of years gone by. 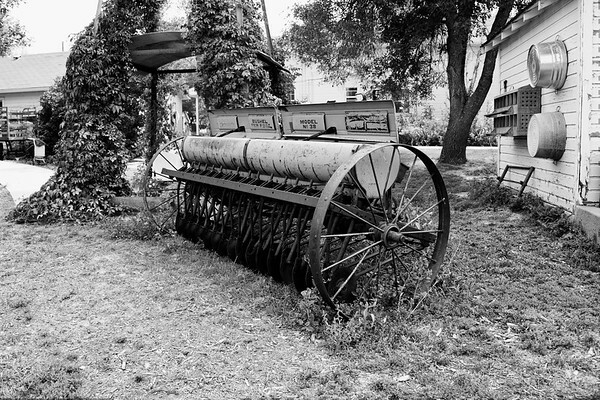 An old farming planter used as lawn art at a farmhouse located in Hudson, Colorado. 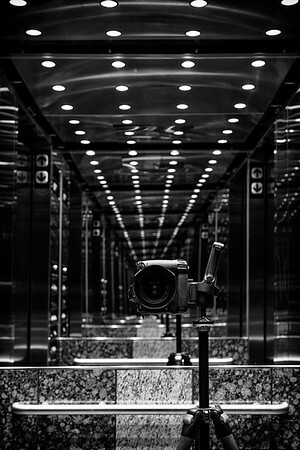 Shot inside a mirrored elevator that created a picturesque vanishing point view. 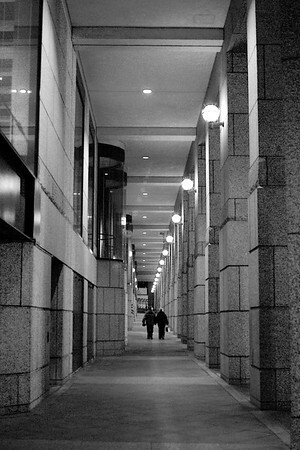 The couple walking near the Hyne Convention Center in Boston, MA really gives the viewer a perspective of just how tall the walkway is.